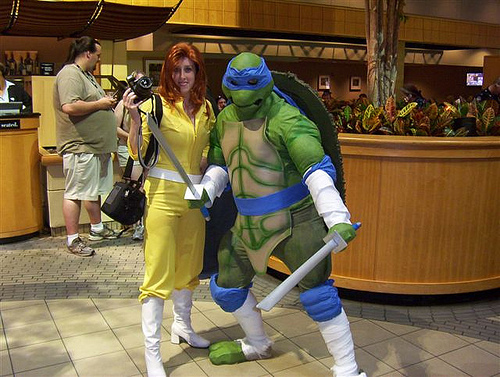 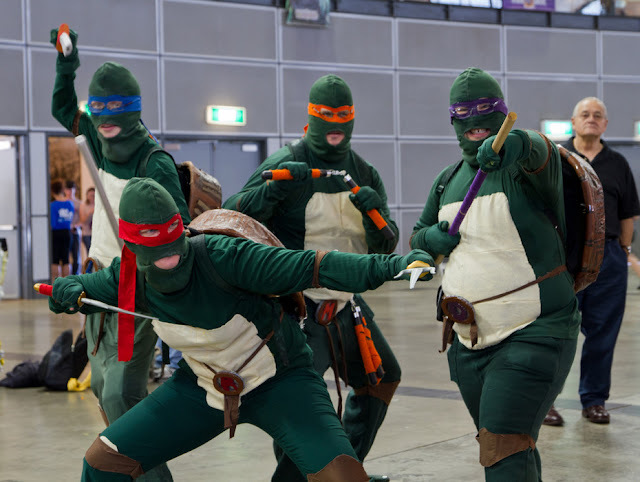 Cowbunga dudes, it's time for some Turtle Power with these awesome TMNT cosplay shots of babes and dudes play homage to one of the most awesome cartoon shows of all time, Teenage Mutant Ninja Turtles. 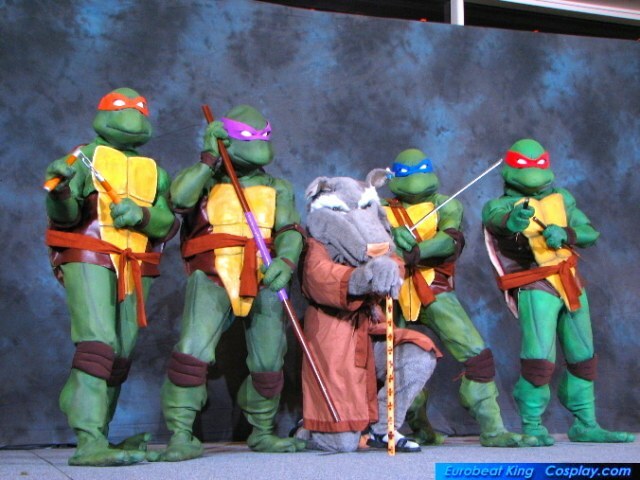 Man, used to rush home from school to watch TMNT, for a while it was the coolest thing on the planet! 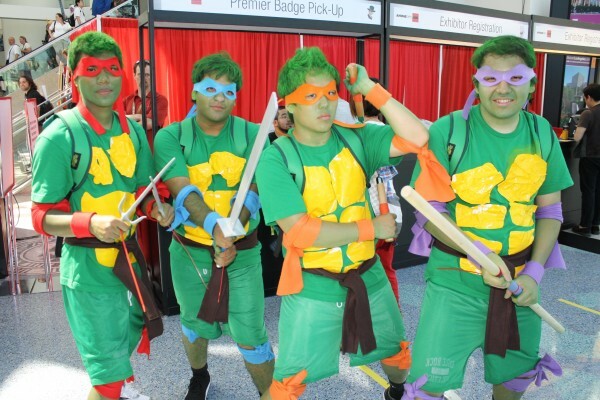 It appears a lot of over fans love TMNT as there's a lot of cosplay love for the four green fellas about! 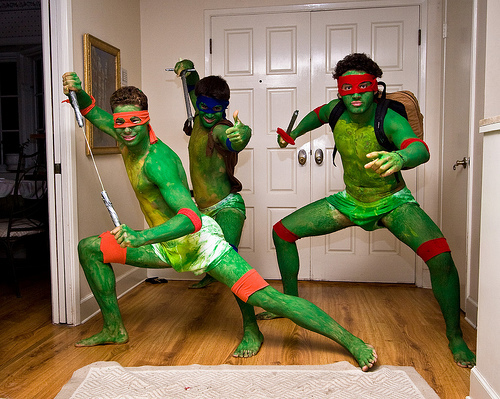 Check out these costume players living out their fantasties of being a green shelled super hero! 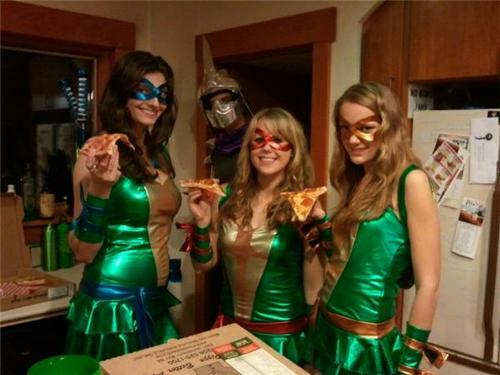 Here's a question for you. 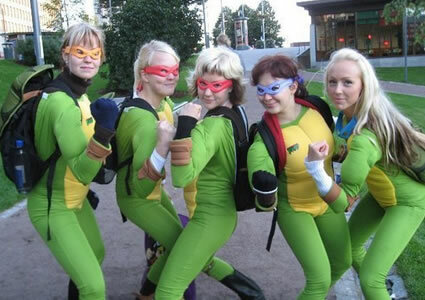 If the turtles were gluten free, what would there favourite food have been?